One of the bigger stories we covered this summer was The Steam Can Saga. 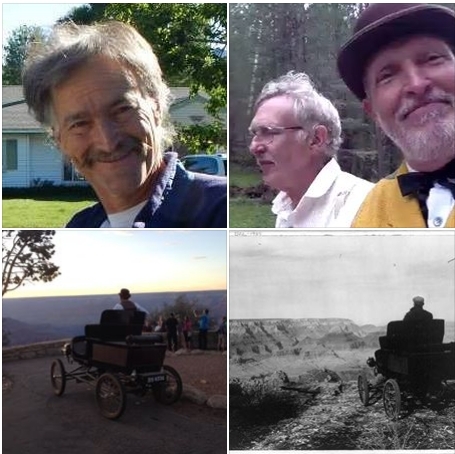 In a nutshell, two British Brothers acquired and restored a 1901 Toledo Steamer that turned out to be the Very First automobile ever to travel to The Grand Canyon. In true British Style, the brothers decided to re-enact that 1902 historical event. The link below the photo goes to the best wrap-up article about their saga. Below that, we include our toast to Tom Martin for his role in making it happen. Now that The Howell Brothers and their Little Steamer That Could have made it to the Grand Canyon, we'd like to salute and commend Tom Martin for his role in helping history happen. Tom did a truly remarkable, outstanding and historic piece of work. His efforts, organization and leadership were admirably outstanding in so many ways. He may brush off this observation--but it''s true--There's simply NO WAY that endearing series of events could have remotely happened without his efforts behind the scenes. The steam car saga is one of the most inspiring, entertaining and exciting events to happen at Grand Canyon in a long time. Tom gets a HUGE Gold Star on his Life Chart. If there was anyway we could organize an online standing ovation for Tom, we would do it. Congratulations, Tom. "Ya dun good!" On his part, Chris Howell said, "We are indebted to Tom Martin who has been the grand master in bringing together a wonderful, enthusiastic and truly kind team of people with whom we have forged a lasting friendship. Without them, we would not have overcome some of the tremendous difficulties we encountered between man, machine and Mother Nature and her stage props of thunderstorm, mud and washed out tracks." Of course, Tom, even the humble Grand Master, replied, "Chris, you are too kind. It is the entire Northern Arizona community, myself included, who thanks you for allowing us to participate in your incredible journey with an incredible part of American history. Thank you!" 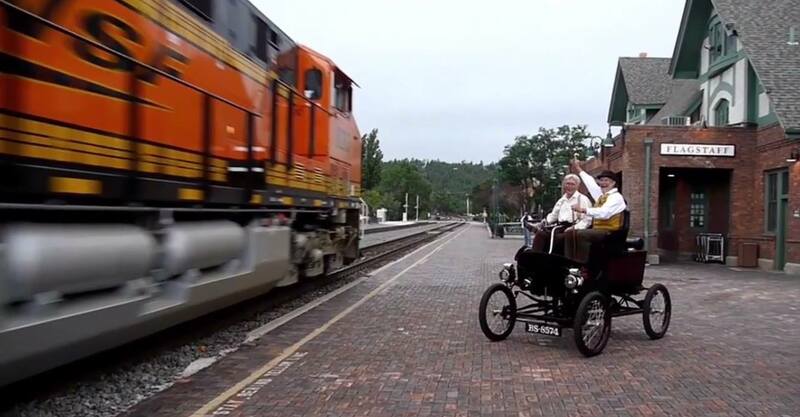 Many Thanks to ALL who played a role in the steam car saga!